Below you can view all the homes for sale in the Sedona In The Pueblo Summerlin subdivision located in Las Vegas Nevada. Listings in Sedona In The Pueblo Summerlin are updated daily from data we receive from the Las Vegas multiple listing service. To learn more about any of these homes or to receive custom notifications when a new property is listed for sale in Sedona In The Pueblo Summerlin, give us a call at 702-930-8014. Walking distance to schools, parks, trails, churches, & shopping. Welcome Home! MLS#2086609. Urban Nest Realty. Fruits trees produce a delicious bounty of apricots, nectarines, grapefruit, limes, oranges AND Lemons! MLS#2084294. Keller Williams Market Place I. Available for a July move-in, featuring premium Charcoal cabinets, beautiful New Caledonia granite countertops throughout, all appliances with window coverings included and buyer may still select flooring! MLS#2082877. Realty ONE Group, Inc.
Backyard OASIS with SPARKLING BLUE POOL!! SEE TODAY! MLS#2080911. Maxim Properties. 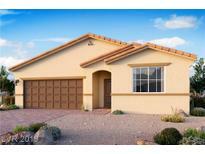 Don't miss a great opportunity in Summerlin! ! MLS#2080410. Vegas Dream Homes Inc.
Short Sale, "AS IS" condition no repairs. MLS#2074315. Realty ONE Group, Inc.
You'll know from the second that you walk in that you have found your forever home! MLS#2029540. Rustic Properties. You'll know from the moment you walk in that you have found your forever home! MLS#2027542. Rustic Properties. a great place to call home! MLS#2024832. Century 21 Gavish Real Estate. Large Master W/ Double Sinks Large Separate Tub & Shower.Lease Buyout-30 Day Move-in MLS#1992728. Turn Key Property Solutions.